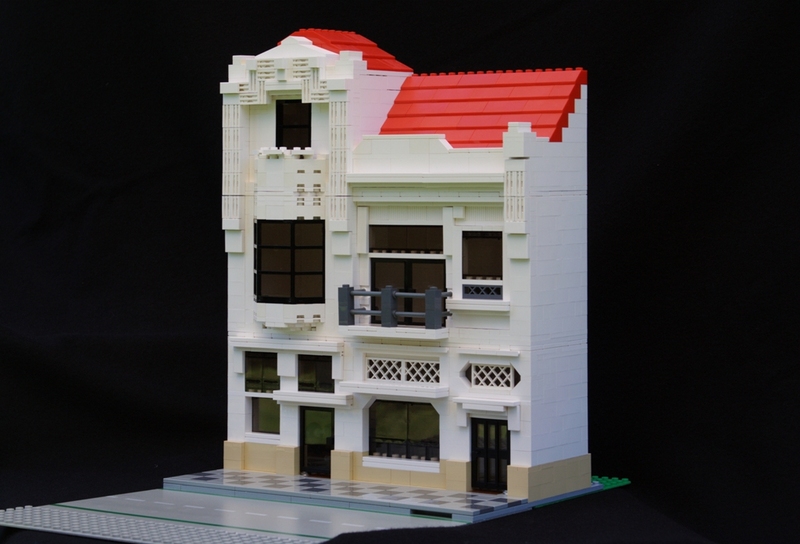 Brick Town Talk: Addition to Le Quartier - LEGO Town, Architecture, Building Tips, Inspiration Ideas, and more! As you can see by that pic and the others on my folder, I'm designing a whole neighbourhood that will include Café Corner, Market Street and others that may be released. I Really like Art Noveau - Art Déco (Modern Style in english? )and it shows clearly in this one. Anyway, it's always a pleasure to see my work posted here, hope you've enjoyed it! Its always exciting to hear from the person who built the MOC. I look forward to seeing more of your creations.